The Condor Outdoor Releasable Knee Pads are possibly the best value for money in regards to knee protection. The 1/2" high density foam is wrapped in nylon to provide impact protection while still keeping a slim design to prevent from hindering movement. 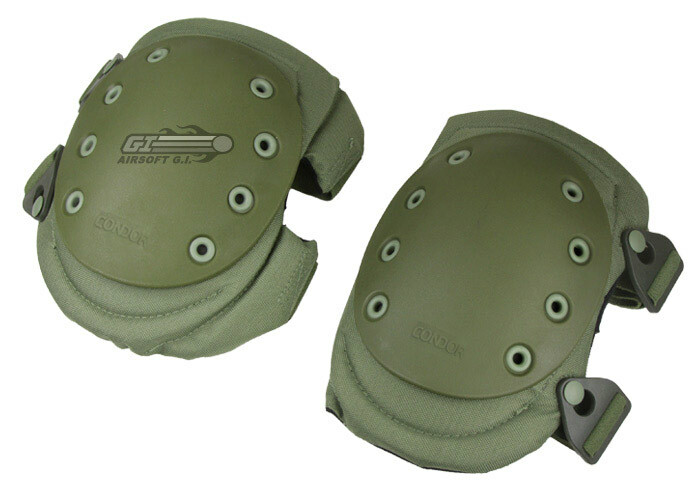 The rubber non-slip cap provides extra shock protection and is riveted to the knee pad for durability and flexibility. The 2" elastic straps are adjustable with Velcro strips and fasten with a friction lock buckle. Condor Outdoor has become the premier manufacturer of airsoft gear. They have used their experience in body armor to create other protective/tactical gear for uniformed duty, tactical, corrections, military, industrial safety/medical rehabilitation personnel. Condor Outdoor products are the perfect quality product for airsoft.